Cairo Festival City features Egypt's first indoor-outdoor retail and entertainment resort combined with luxury residential communities. As a result of continuous success and expansion, we are a looking for a Specialty Leasing Manager to compliment our existing Leasing Team in Cairo Festival City. 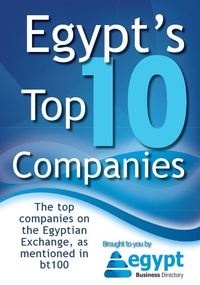 The role will entail to maximise incremental income for the Cairo Festival City and contribute in the achievement of business target through implementation of a competitive and innovative Specialty Leasing Programme directed at marketing, promoting and leasing of common mall and project area sites to external organisations/ associations/ entrepreneurs, as well the permanent retailers of Cairo Festival City. - Candidates applying to this position will have a degree in Business Management or in a related discipline. In addition preferably post degree qualification in business management or post graduate specialisation in marketing. At least 7 years of working experience in marketing preferably marketing of shopping and commercial center(s) comprising of both shopping and entertainment avenues, whilst experience and knowledge in specialty leasing would be a definite advantage for the position. - Local market knowledge is a plus for this position. - Candidates who do not meet the above criteria will unfortunately be declined this opportunity.